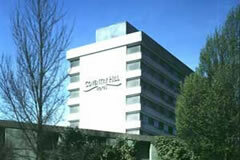 The Coventry Hill hotel is located approx 8 miles from Birmingham Airport. Parking is on site at the hotel. Transfers take approx 15-20 mins. Taxi to be arranged locally cost approx. £20 each way. The hotel was run down and well worn ! The room looked very tired and there was no stuffing left in either the mattress or the sofa giving an uncomfortable few hours sleep. TV channels were limited to a few and the shuttle service provided by the hotel was by black cab not mini bus. On the return from holiday the black cab had insufficient space for 5 people with luggage. Not one to recommend. very polite reception on booking in.clean bedroom and bathroom. 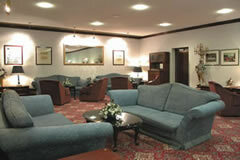 warm and comfortable main area,s free wi fi in bar area. 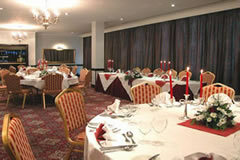 good choice of bar food and very good value for money. ideall for airport stay and park.good reasonable transfer service. Hotel clean and adequate for one night's stay prior to holiday. Staff helpful and good transfer with very accommodating driver. Easy to find but situated near a busy road - car park very busy but managed to find space. Receptionist friendly and check in quick we were asked if we wanted a wake up call as we had an early flight. Unfortunately we did not get the wake up call we requested - it was lucky we woke up but only had ten minutes to check out. Decor of hotel a bit dated but clean room small but adequate there was also a TV and tea coffee making facilities. 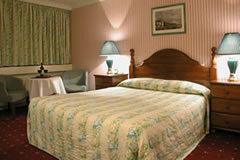 Plenty of hot water and clean towels and bed comfortable. We did complain about not receiving the wake up call but the man on reception was not bothered. For the money we paid it was fair value and what you would expect for the money just a pity about the wake up call. We would probably stay again but wouldn't be first choice and we would definitely take an alarm clock. Would definitely stay again on route to airport. Hotel a little dated but clean. Staff very helpful and pick up went very smooth. Would recommend the 3 course meal Â£9.99 it was very nice. Hotel room fairly basic but bed comfy and crisp clean sheets. Need to pre book transfer, which isn't made clear on booking if you are staying on your return from hols. Return from airport only runs hourly which again isn't made clear although it is on instructions you get for pick up. However, they did come 15 mins earlier after we voiced frustration when we rang at 12.10 to be told we would be picked up at 1.00am. Overall a bargain but don't expect the Ritz. OK for a 2 star. Bed small, sheet on bottom frayed at one end. Whole place tired BUT it was a cheap deal. Good location, excellent transfer. Use it for what it is I suppose. From M6, exit at junction 4. Follow A446 Coventry S & W. After 2.5 miles,you will reach Stonebridge Island (roundabout).Turn left on to the A45 Coventry. After approx 4.5 miles, as you approach Coventry,you will see the Coventry Hill Hotel (tall white building) ahead on your left.Take the next slip road off the A45, which is just past the Hotel. At the next island, take the first left up Rye Hill, past the garage.The Hotel entrance is on your left. From M69/M6, exit at junction 2 on the M6 towards Birmingham. Get off the M6 at junction 4 onto the A46 towards Coventry. On the A46 follow the signs for the A45 Birmingham. Once on the A45 look for signs for the A4114. The A4114 will take you to a roundabout, take the 3rd exit off the roundabout onto Rye Hill, Coventry Hill Hotel is on the left hand side. Transfer: Taxi to be arranged locally, cost approx. £20 each way. I would like to ask where is the mini-bus station at Birmingham International Airport which can transfer to Coventry Hill Hotel? The shuttle bus drops off and picks up in the car park opposite arrivals and departures. 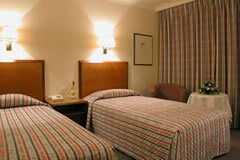 You will receive a sheet on check in with all the details required.